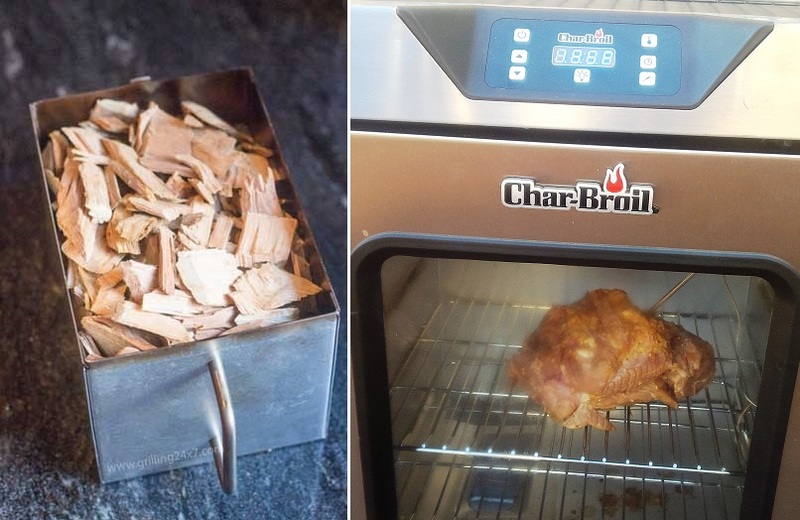 Because The Rugged Male has such a strong following of alpha males not afraid to hunt, gather and cook their own meals, even if it means hunting in the local supermarket, (which can be every bit as dangerous as hunting mountain lions), Char-Broil sent us their new Digital Electric Smoker to review, (MSRP $299). This smoker is clearly intended for the novice or beginner smoker, and with a price much less than big boy smokers, it’s the perfect way to wet your beak on smoking meat. 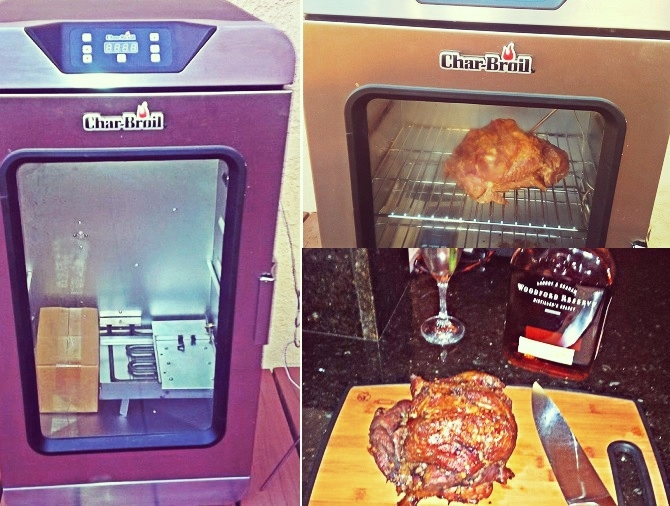 We’re told the Char-Broil Digital Electric Smoker is a brand new, best-in class electric smoker. The smoker is the easiest way to create authentic, slow-smoked food. There’s no need to tend to a fire and feed the smoker box, it’s truly a Set It and Forget It cooking process. The washable temperature probe monitors the meat temperature and automatically turns down the heat once it reaches the pre-set final temperature, reducing to a warm setting until you’re ready to eat. Next we needed to fetch some smoking wood chips, naturally we chose Jack Daniels BBQ Smoking Chips. Having never smoked meat before we quickly consulted the web and found that a pork shoulder was a good first choice due to the size and fattiness. We picked up a 3-pounder, looked up a quick marinade recipe, set the final temperature (275) and popped that sucker in. The manual suggested about 100 minutes per pound. This gave us the perfect amount of time to thoroughly test the dummy-proof aspect of the Digital Electric Smoker. We headed out for some tacos, stop by the local watering hole to support our favorite local band, drank some tequila and had a ball! There was no better way to test the automatic shut-off features of the smoker, than leaving the house for five hours and coming home hungry. 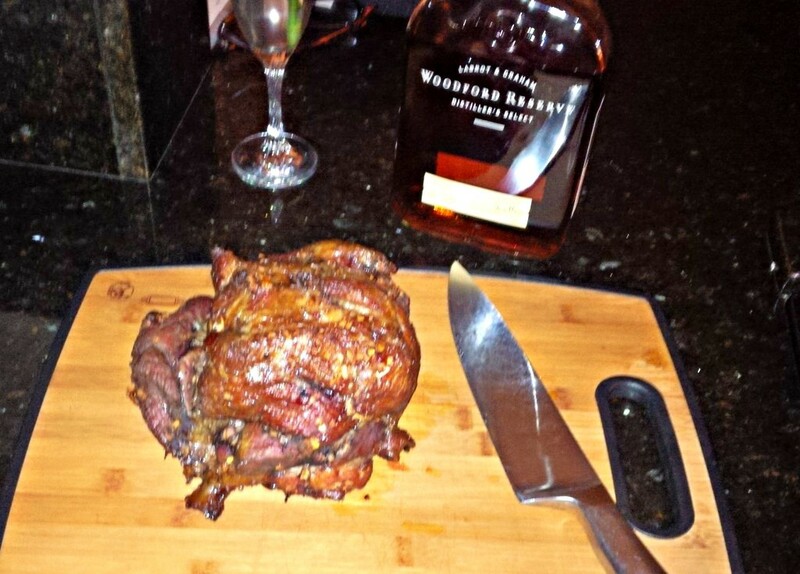 When we returned, the smoker was turned off and our meat was perfectly cooked. We immediately sampled … and sampled again. This thing is great if you are having people over and have other things to do or if you simply would rather be social instead of constantly monitoring the grill. The Digital Electric Smoker rocks, it really does, otherwise you wouldn’t be reading about it here. The Char-Broil Digital Electric Smoker is available on charbroil.com and amazon.com and at select retailers. Thanks for reading and keeping our lights on by supporting our sponsors. Please share with anyone interested in hassle free bbq smoking! This is a sponsored post written on behalf of Char-Broil. All opinions are ours.